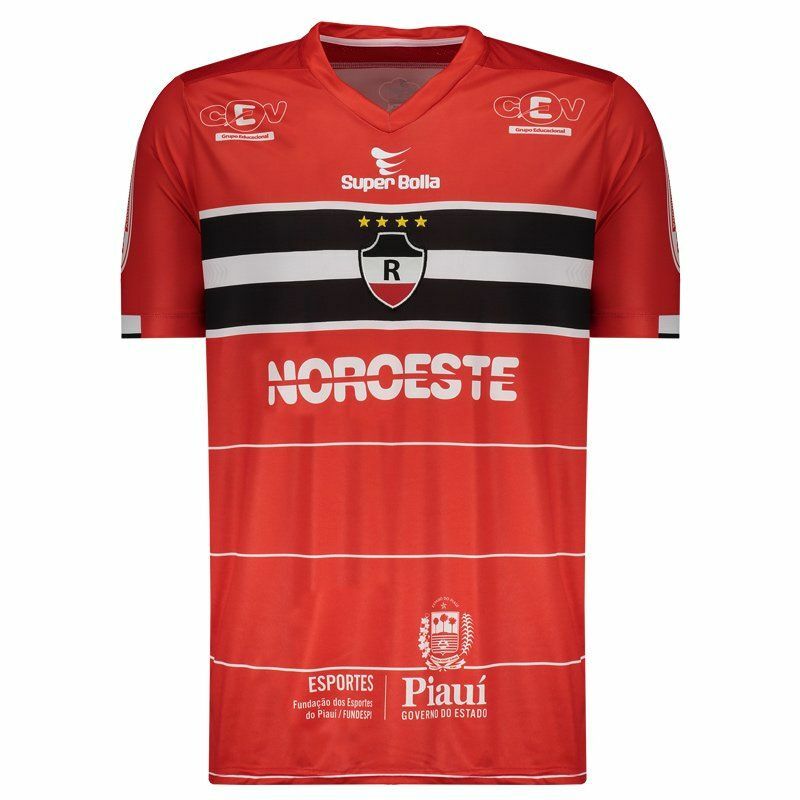 Manufactured by Super Bolla, the shirt of the River of Piauí for 2017 offers customization of name and number using the fonts of the team. The mantle is made of lightweight polyester with soft touch, providing comfort and freedom of movement. More info. 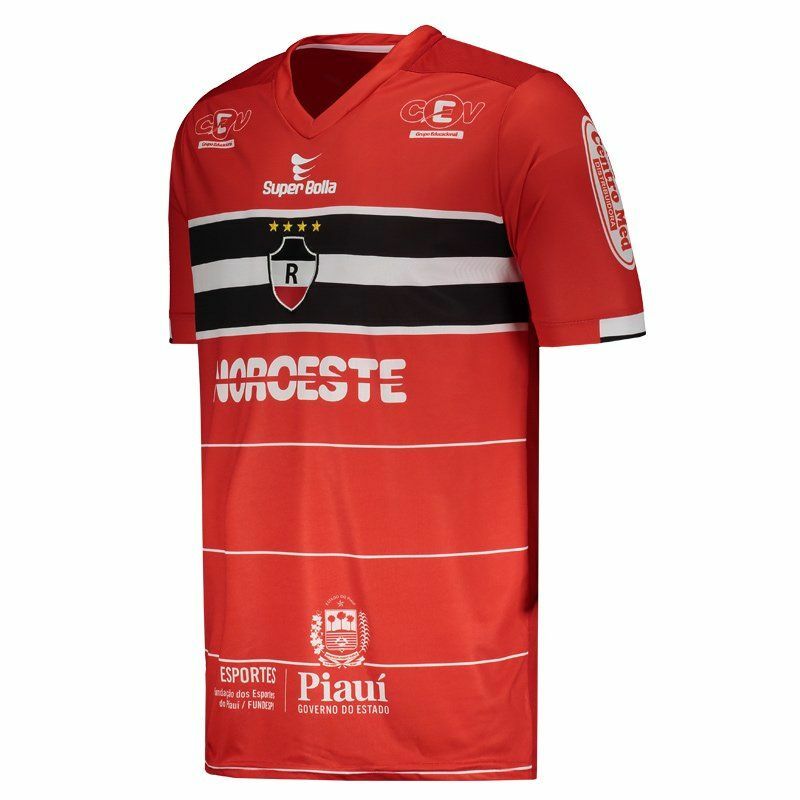 Manufactured by Super Bolla, the shirt of the River of Piauí for 2017 offers customization of name and number using the fonts of the team. The mantle is made of lightweight polyester with soft touch, providing comfort and freedom of movement. It brings Dry Ice technology, which offers a lightweight, comfortable fabric and provides high absorption of sweat from the body, keeping it dry and at a stable temperature. 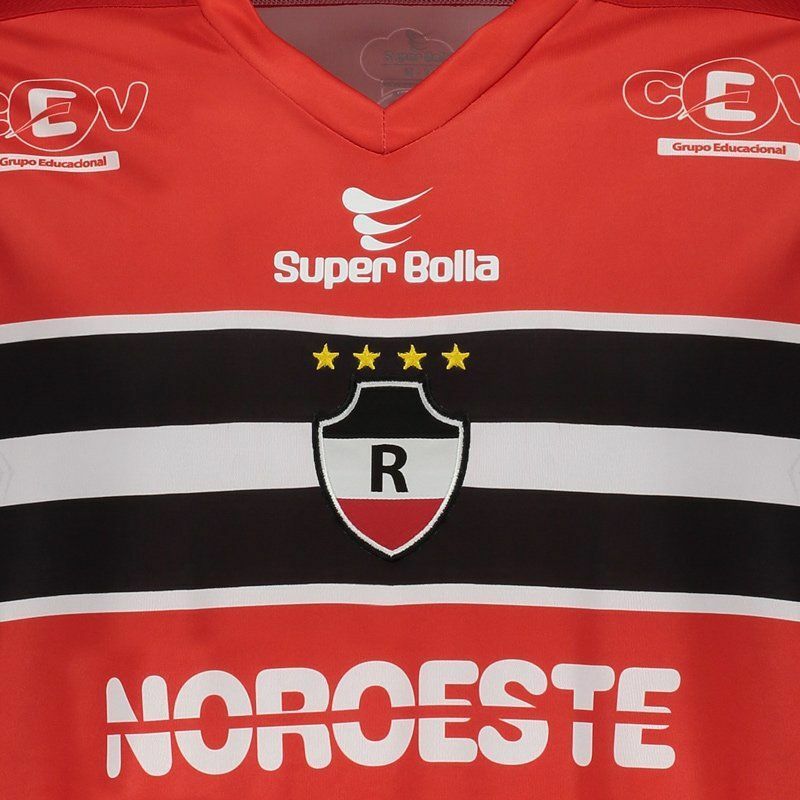 Its design is composed of red with two black stripes and a white one in the middle in the chest region, highlighting the team's badge, which appears embroidered. Just below, four fine white lines are placed. 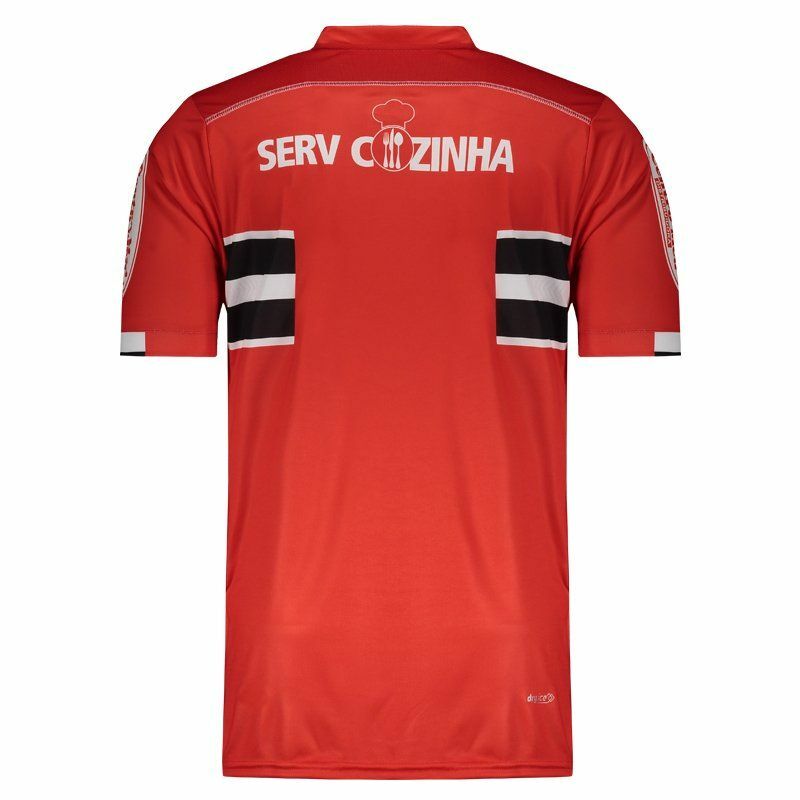 In addition, the cuff of the sleeves comes with tone of white and black and has a stamp of sponsors throughout the composition. Finally, the collar is V, complementing the details.